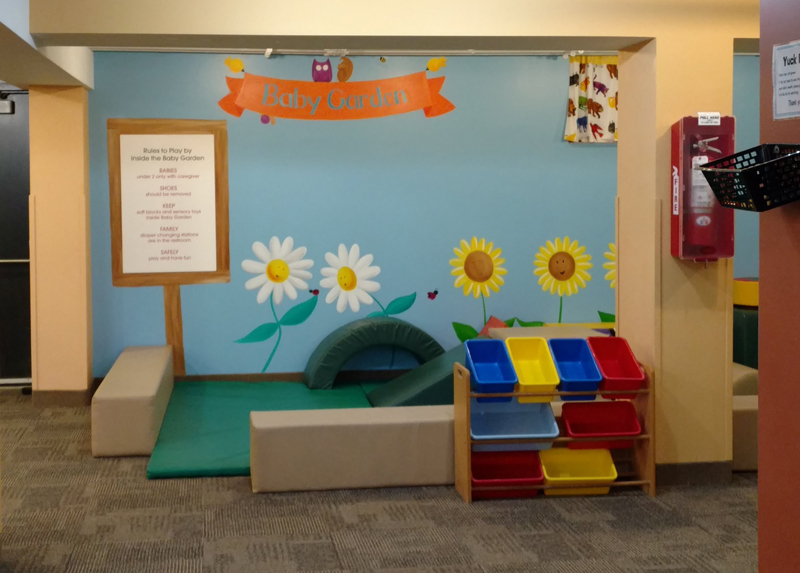 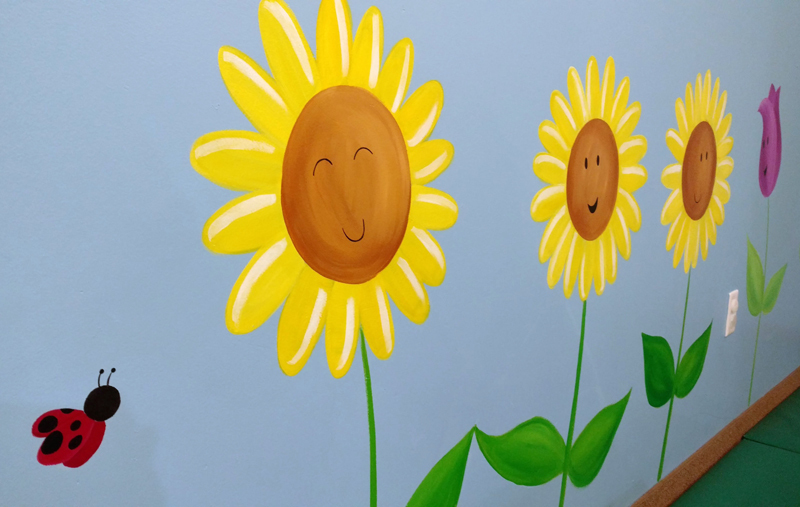 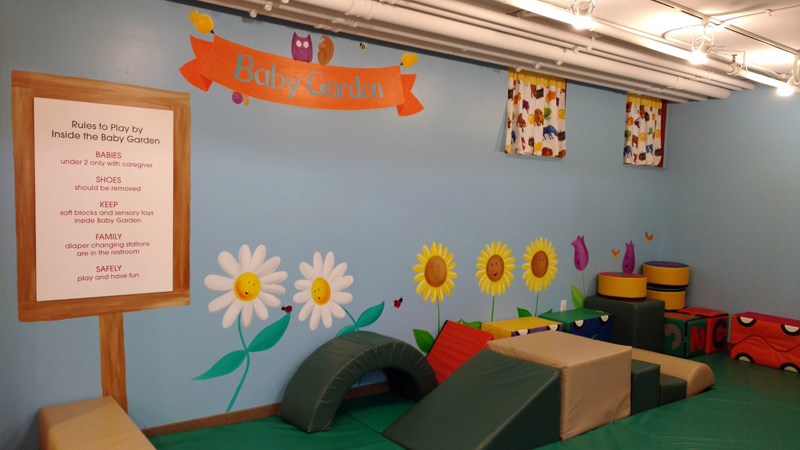 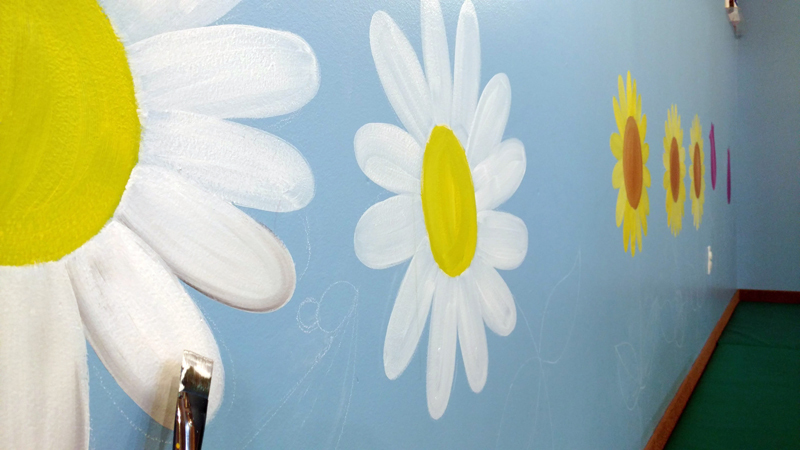 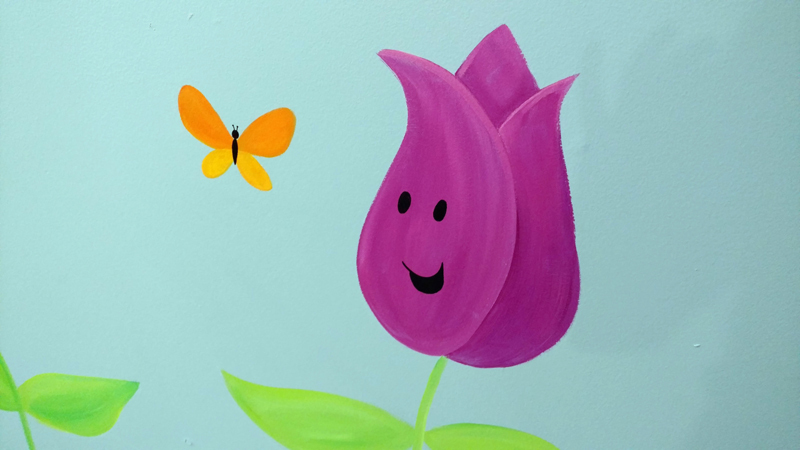 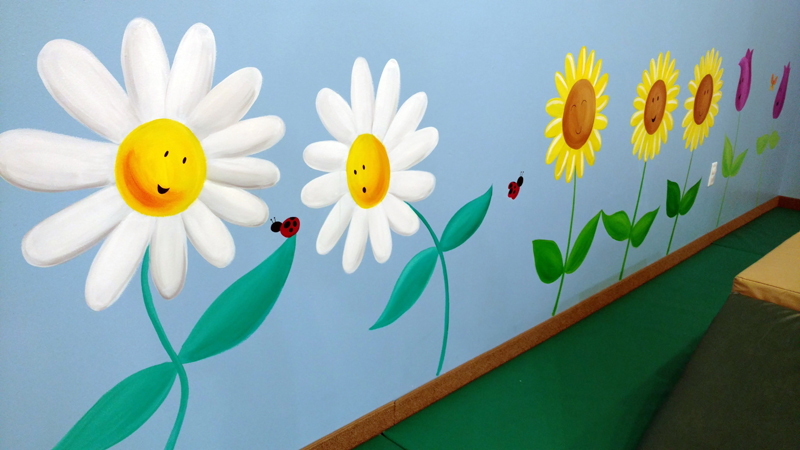 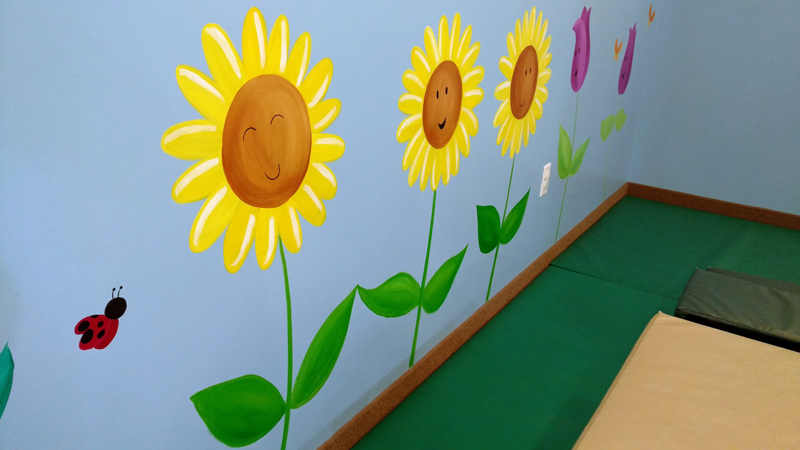 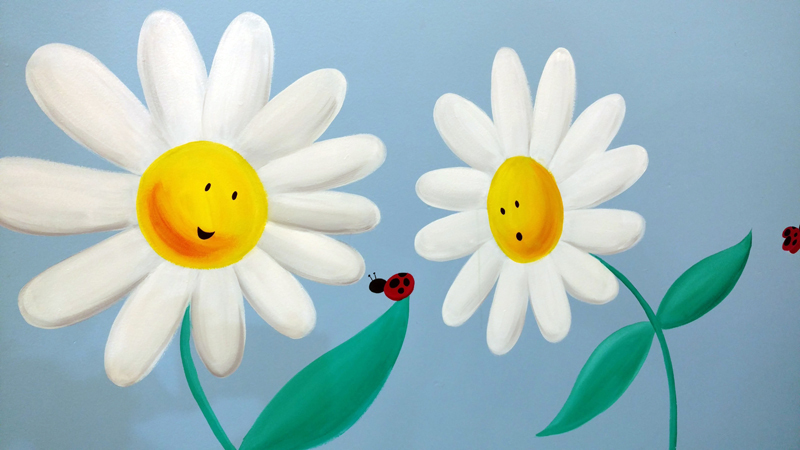 During January of 2018, I was commissioned by Experience Children’s Museum to create a mural for their Baby Garden – a garden-themed, padded play area for babies. 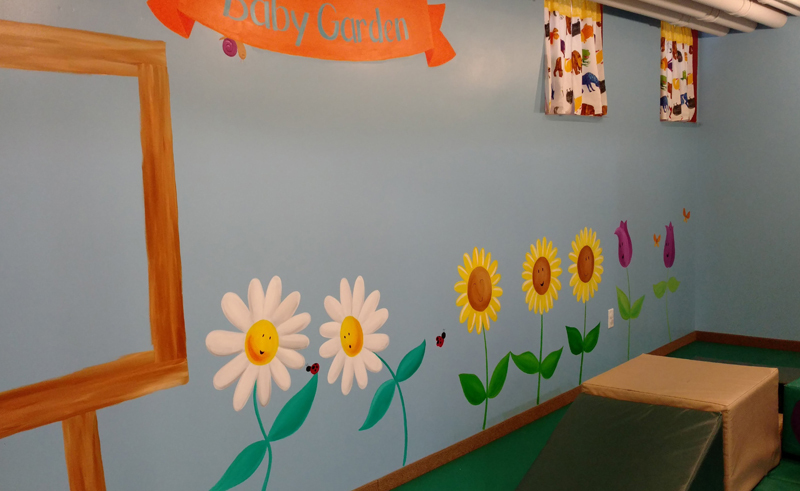 This was a really fun project because I had complete creative control – they let me do basically whatever I wanted! 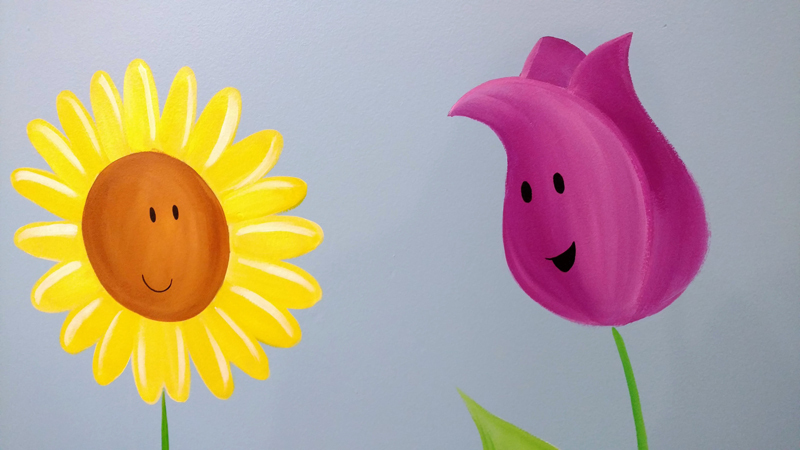 I created a fun scene of daisies, sunflowers, and tulips interacting with insects and with each other. 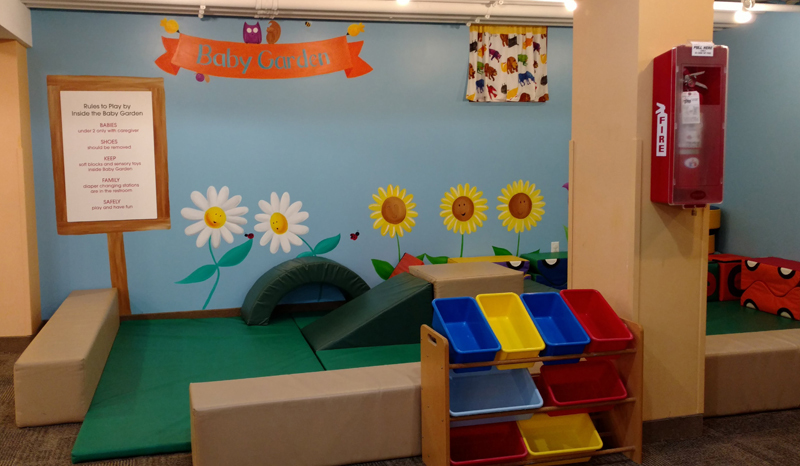 When Tami (Assistant Director of the Children’s Museum) showed me their sign listing the rules of the Baby Garden, I got the idea of creating a wooden garden sign that they could attach the rules to. 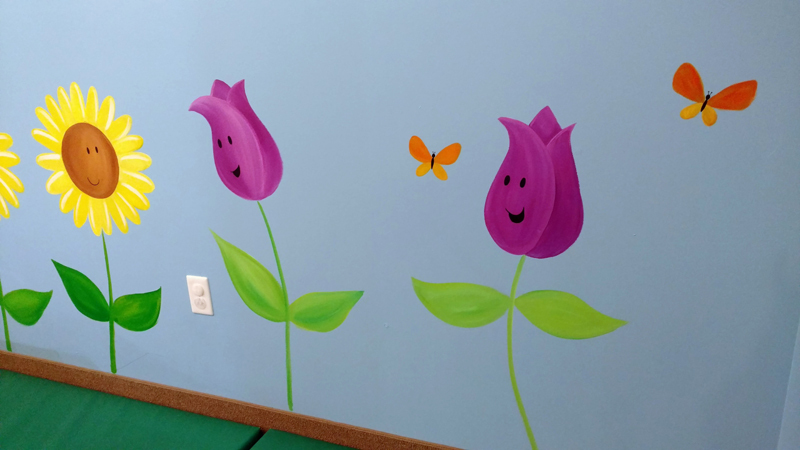 I think it turned out perfect! 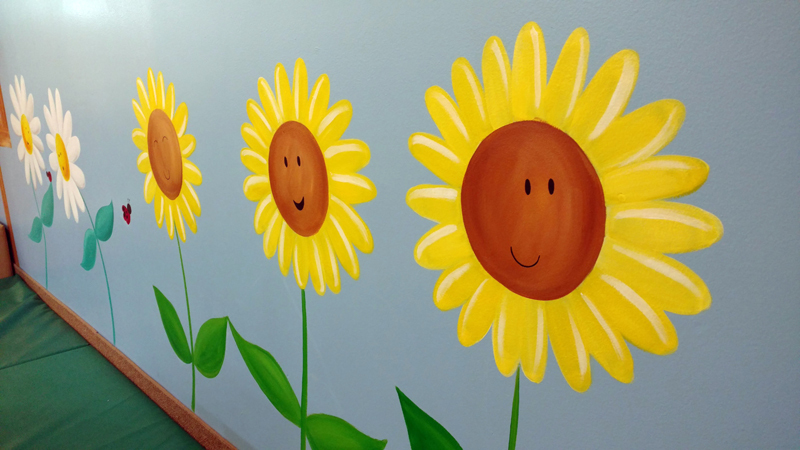 In all, this mural took me about 6 hours to create.